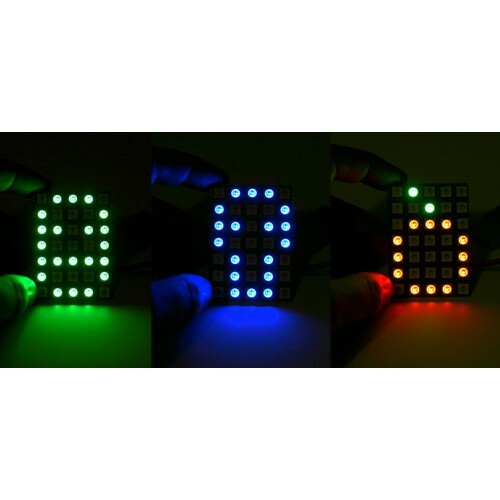 Neopixel (WS2812) LED matrix is a chainable LED matrix consisting of 35 LEDs arranged on a 5×7 grid. 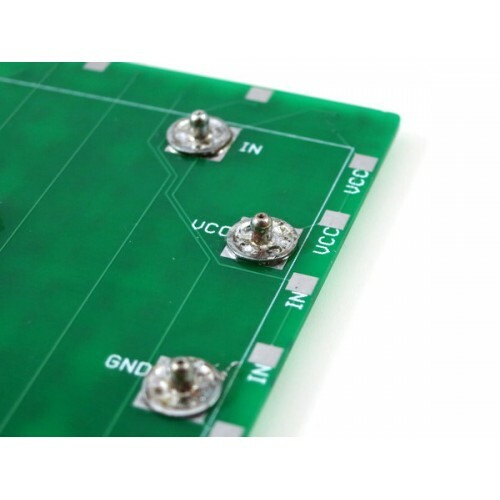 The matrix takes only one digital pin and all LEDs are individually addressable. This resolution matches the standard ASCII character font, so you can use it to display letters and words, or make a cute icon. 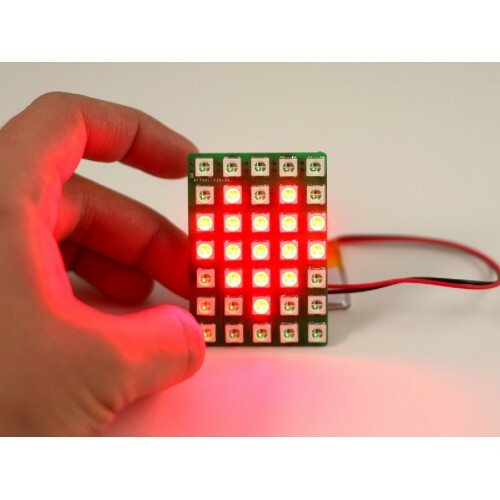 Neopixel (WS2812) LED matrix is a chainable LED matrix consisting of 35 LEDs arranged on a 5×7 grid. The matrix takes only one digital pin and all LEDs are individually addressable. This resolution matches the standard ASCII character font, so you can use it to display letters and words, or make a cute icon. 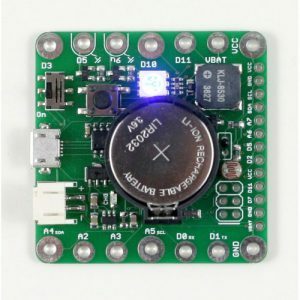 The LED matrix works with any Arduino compatible board (including SquareWear 2.0 and SquareWear Mini) using Adafruit’s NeoPixel library. 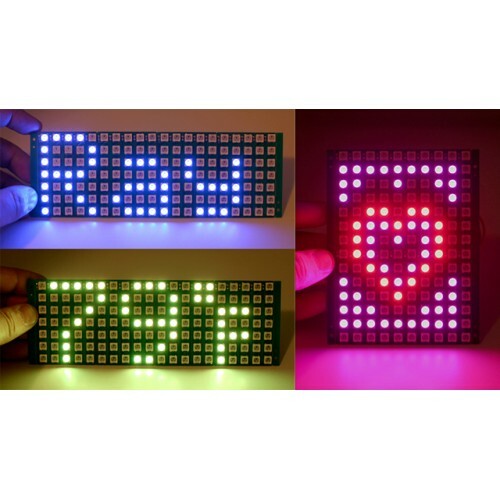 The SquareWear software package includes several LED Matrix demos. 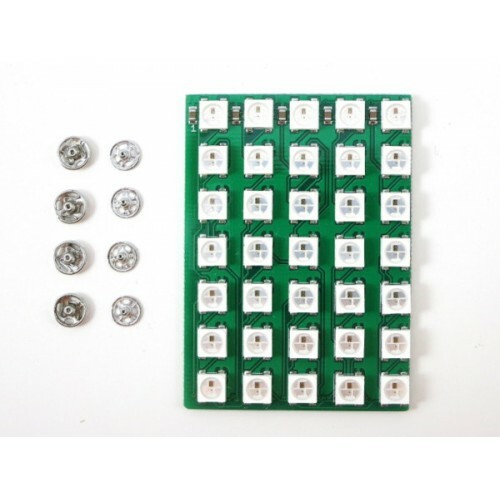 The package includes one LED matrix and four pairs of sew-on snaps (6mm). The matrix has input three pins mapped out at the back of the board: VCC (operating voltage, 3V to 5V), DATA_IN, and GND. The locations of these pins exactly match the VCC, D10, and GND pins on SquareWear Mini. 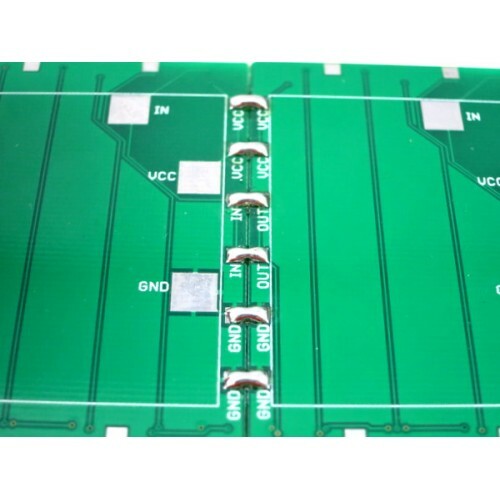 The matrix is chainable: you can connect together several of them to make a larger display panel. Technically, each LED has a built-in chip similar to a shift register. It works by pushing bits from a microcontroller pin to the string of LEDs at sufficient speed (800kHz). Every 24 bits (or 3 bytes) correspond to the RGB color of an individual LED. 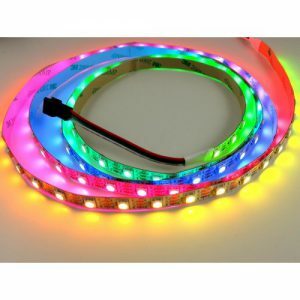 For details, please refer to the NeoPixel Guide.